Artificial Intelligence (AI) is one of the biggest trends of 2017. It is creeping into almost every platform, from Facebook to Amazon, Google to Shopify and pretty much everything in between. Therefore if you are working in marketing, in any capacity, you really need to be brushing up your knowledge and understanding what is happening around you. Here is a quick guide to some of the most important AI terms you should know. Chatbots are starting to be everywhere. They are a form of automated service, a chat based interface that clients can interact with. It is a form of artificial intelligence (AI) that operates within defined set of rules and parameters. Read more about how chatbots work. 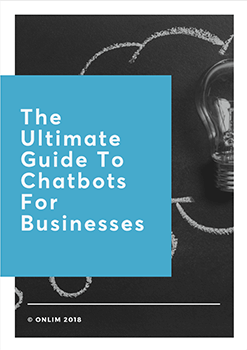 Using a combination of programming and AI, chatbots are a form of customer service automation. They can handle questions, take orders and even process payments, depending on the level of sophistication bequeathed on them by their daylight fearing, dark loving programmers. Chatbots can either learn by program expansion; an introduction of more algorithms and example situations, or they can use AI to complete learning for themselves. They are resource light and productivity heavy – the perfect personal assistant. Pretty much what it sounds like. A group (or cluster) of anything, brought together through commonality. AI is clever enough to pinpoint these clusters in reams of data. They can spot patterns or trends, drawing conclusions and making connections in moments that humans would take years or even decades to spot. This useful information, or cluster, is then used to segregate customers to ensure that marketing is specifically and accurately targeted. Currently one of the most advanced forms of machine learning. AI in this case can actually learn with only the minimal amount of input from programming. Deep learning is a marketers best friend, as the data it produces can be applied to those tricky customers to accurately predict their behaviour as consumers. So, this is like clusters but with pictures. Using the power of AI, we can get the computer to run through thousands of images for any purpose. We could use it to find all occurrences of images online that contain a flower, or more importantly a logo. Again this is all fuel to the customer profiling fire and allows for more direct and targeted marketing based on the data they discover. Again the computers can work faster than humans ever could and draw out patterns that people are likely to have missed. As opposed to chatbots, which their name says are more about chatting and messaging, intelligent personal assistants are rather used for voice interactions. They are software agents that can perform tasks or services for us. Today there is already a variety of these agents such as Amazon Alexa, Google Assistant, Siri etc. The old mother of deep learning, but still quicker than you! Again, as with deep learning, the machines are teaching themselves from information provided. Most commonly found in email marketing, machine learning can be used to pinpoint the best time of day to be sending emails given the target audience, target the adverts to best appeal to that audience and handle massive sets of data. A huge breakthrough in customer retention and UX. By analysing past habits and previous purchases, AI can determine the sorts of things a customer may also be interested in purchasing. This helps to create a unique experience for each user, but from the same website. It is kind of like having one website exclusively for each shopper. The AI can push the things that would not appeal out of view, and bring to the fore a tantalising selection of things the customer just happens to really like. 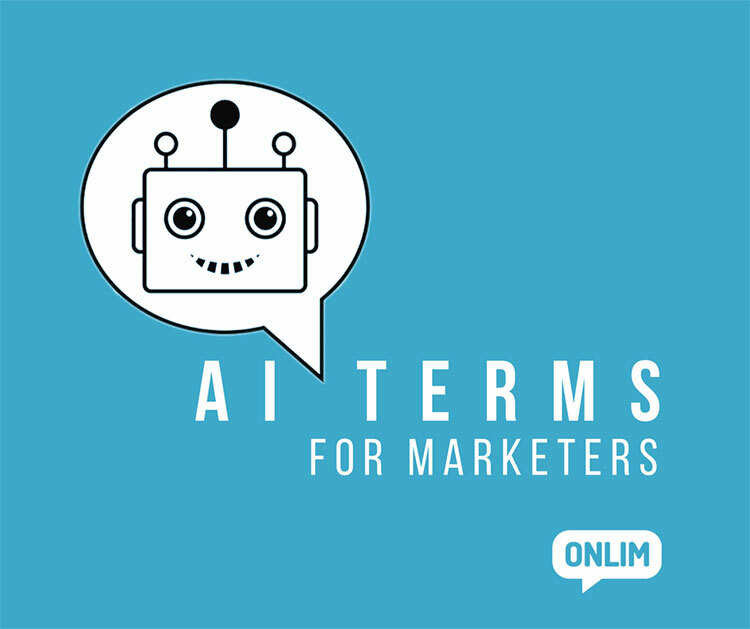 New terms are going to be coined as AI progresses, so it is worth keeping abreast of what is developing by subscribing to AI related blogs and mailing lists. However, these basic AI terms should leave you feeling smarter about the whole AI revolution.